No matter how much experience you have in purchasing real estate, we tailor our home inspection services to your needs. We equip you with important information about the property so that you can proceed with confidence in your real estate transaction – whether you are a first time home buyer, an out-of-town resident, or a seasoned real estate investor. Are you a first time home buyer? HomeSpec is geared to help you in your quest to purchase your first home. The purchase of a home is a significant investment, and it is important to find out as much as you can before you close on the property. It is too late to ask the seller to fix defects after closing – even if the seller did not disclose the defects on the Form 17 (a property disclosure statement that sellers are required to fill out). An inspection will help you document defects, and give you an opportunity to negotiate repairs with the seller. During the home inspection, we will take the time to walk you through the home and discuss the home’s features and issues. We encourage our clients to be present at the inspection for both their education and peace of mind. We are always happy to have follow-up discussions about the home and help navigate you through maintenance issues that may spring up after the home’s purchase. 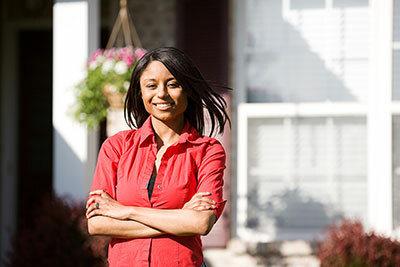 First time home buyers, click here to schedule your inspection. Are you purchasing a Port Charlotte area property but are unable to be present for the actual home inspection? Our services cater to your needs. We create reports using videos and photos to supplement the data so you can feel almost as if you were there for the inspection. The software we use to write the reports is some of the best home inspector software available – Home Inspector Pro. This software allows us to add as many photos and videos as we like or need to explain or describe the home and or a particular issue. If pictures are worth a thousand words, then videos are worth millions. Watch our videos and see the home in real time at the time of the inspection, hear the sounds the pool pump or refrigerator are making, see the cracks or breaks found. We use the same software on every inspection, but for out-of-town clients it can be an extra valuable tool. Scheduling your home inspection online is easy. Click here to get started. Are you a real estate investor purchasing property in the Port Charlotte area? Chances are, you may not be looking for a traditional home inspection. That’s why HomeSpec offers a consultation service, giving you all the benefits of a home inspection at a lower cost. For the consultation, we will have you walk with one of us as we conduct an entire home inspection. We will not create a report afterwards, but you can make as many notes or take as many photos as you like while we are performing the inspection. For a small additional fee we will do the insurance inspections on the home and write the reports. Click here to schedule your consultation online.